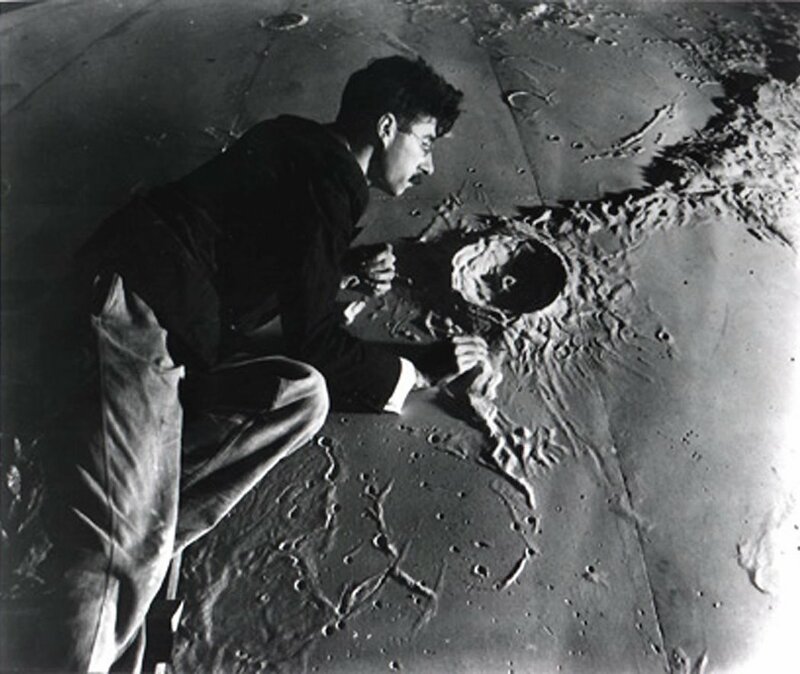 Illustrator and model-maker Roger Hayward (1899-1979) working on a model of the lunar surface for the Griffith Planetarium, 1934. Kevin Kidney (2009) Mr. Hayward's Moon Model. Photo from Keven Kidney's blog, textual description courtesy of Klaus Hentschel. For more, see Klaus Hentschel (2014): Visual Cultures in Science, Technology and Medicine, pp. 217-226.